Home to the Redguard "Order of the Dragon Tooth", a warrior-order who relocated to Dragonstar during the War of Bend'r Mahk. They've stayed around since, in order to protect the citizens and the benevolent Crown rulers. Should house guild hall, sleeping quarters, training facilies and possibly a small shrine to Ruptga or another Yokudan deity. The building was previously known as Geldwyr Manor (known from Shadowkey), but the former owners fled or were killed during the war. I'd like to claim this. I did a test shell and then got completely absorbed, but hey - it's all practice. No hard feelings if you'd rather give it to someone else. For what I have made, I tried to build the manor first and then show how the Order had occupied it subsequently. I thought about trying to show them excavating the cellar even further (to place a shrine or somesuch) but that didn't really work. I got to the cellar last and still contemplating its layout, as well. The layout looks fine to me. I would place some weapon racks on the walls to give the interior a martial feeling. Maybe a sparring area too, with a practice dummy. Alright, first pass. Lack of Redguard clutter is a difficulty, especially with the shrine. I improvised it, and assumed the Order did too from stuff left lying around the house (it's to Onsi - hence the daggers). In the future, we'll have some Redguard tapestries to work with. 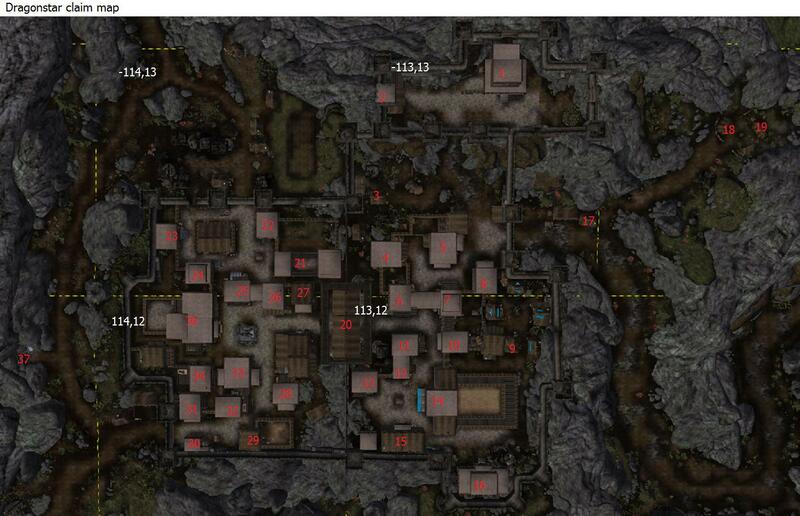 They can be swapped in once Tamriel_Data is updated. I made some alterations (including realigning some tiles). I'm pretty happy with it now. Does that mean this is ready for review? Alright lemme have a look at this. - I suppose those Imp_navy tapestries will be exchanged for Rga tapestries eventually. Left them for now. 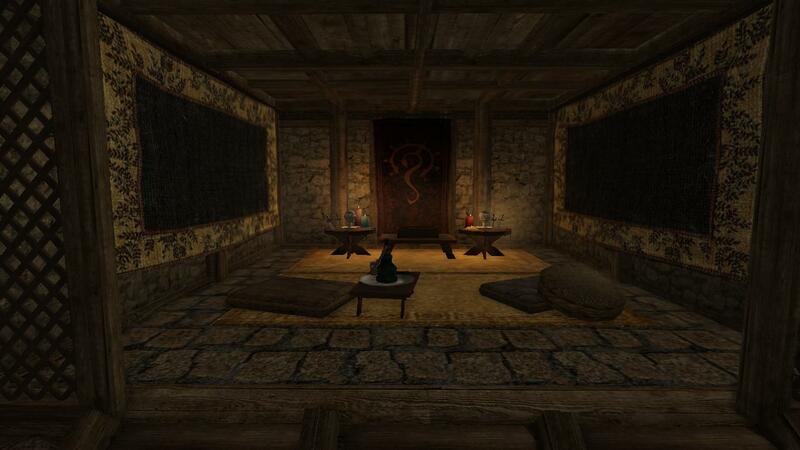 - T_Nor_FurnR furniture is probably fine here, as it's used in Karthwasten manors as well. That said I'd like for us to use more com_r in the majority of Ds interiors though, as these haven't been "nordified"
Very nice interior, the practice/sleeping room in particular is great. I liked the detail with the dusty paintings in the ceiling, alluding to the interiors former use, sometimes these small touches is what makes you remember an int. I added a small flavor note in there (Sky_iRe_Ds24_GeldwyrManorLetter, see below). With the arrival of Tamriel_Data we should perhaps have some guidelines on which _Imp assets that are acceptable to use in Shotn. A lot of the Imp tapestries are way too bright and colourful for Shotn, and should primarily be used in Cyrodiil. In general, you should go for the ones marked 'bast' or 'wool', as those are the ones we've been using in Karthwasten and elsewhere. Same goes for rugs, you should use a Nor_furn rug in 9/10 times. A bit of a quick review this time, if someone wants to go through it they are welcome. To me this int looks fine now though.